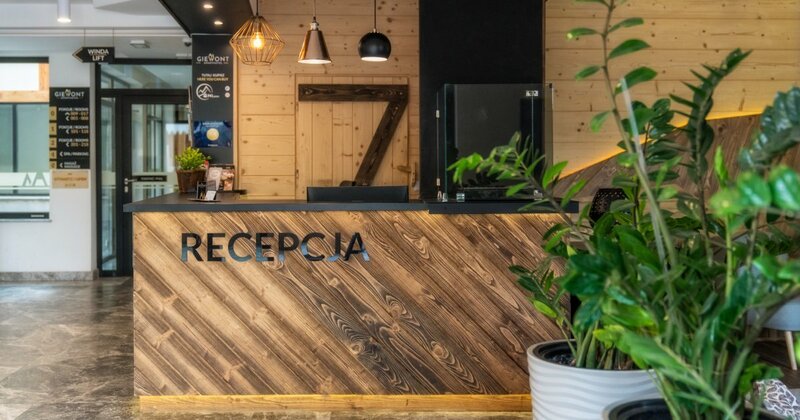 A 4-person or a 6-person apartment with one bedroom and a mezzanine, in the very center of Zakopane, 50 m from Krupówki. The apartment consists of a living room with a kitchenette, one lockable bedroom with own bathroom, a second bedroom on the mezzanine, a second bathroom and access to a corner balcony. The spacious living room offers a fully equipped kitchenette for 6 guests. Table and chairs, cutlery, dishes, glasses, mugs, wine glasses, pots, refrigerator, microwave oven, kitchen utensils, dishwasher, electric kettle, induction hob will allow you to prepare your own meals. The sitting area offers a corner sofa bed for two, a coffee table and a flat-screen TV.One bedroom offers a large double bed, a chest of drawers and a private bathroom with a large bathtub.The other bedroom is located on the mezzanine, it is also equipped with a large double bed. A shared bathroom for guests staying in the apartment includes a shower cabin with shower head, toilet, washbasin and hairdryer. The apartment is also equipped with a set of towels and toiletries, washing machine and dryer, ironing board and an iron - available at the reception. Guests also have access to the corner balcony offering the view of Giewont, the Western Tatras and Pilsudski Park. The apartment offer does not include own food service, however, it is possible to order a catering breakfast served to bed at a specified time (orders accepted until 18:00 the day before).